I’ll be one of the first to tell you that shopping for a Unified Communications solution for your business is no easy task. With the sheer amount of jargon and technical terms that accompany UC, it can be difficult to even wrap your head around what you’re looking at, or reading about. 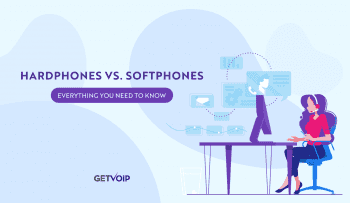 Add on top of that the vast number of options between different vendors, providers, partners, hardware manufactures, and you need a map just to navigate this minefield that is Business VoIP. 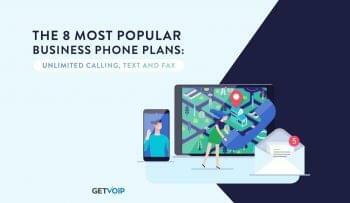 And just to make everything even more confusing, before you begin searching for a VoIP provider, your business must decide how exactly to establish and host a communications platform. Of course, we’re big advocates for the Cloud, with a growing list of reasons to switch your business over. 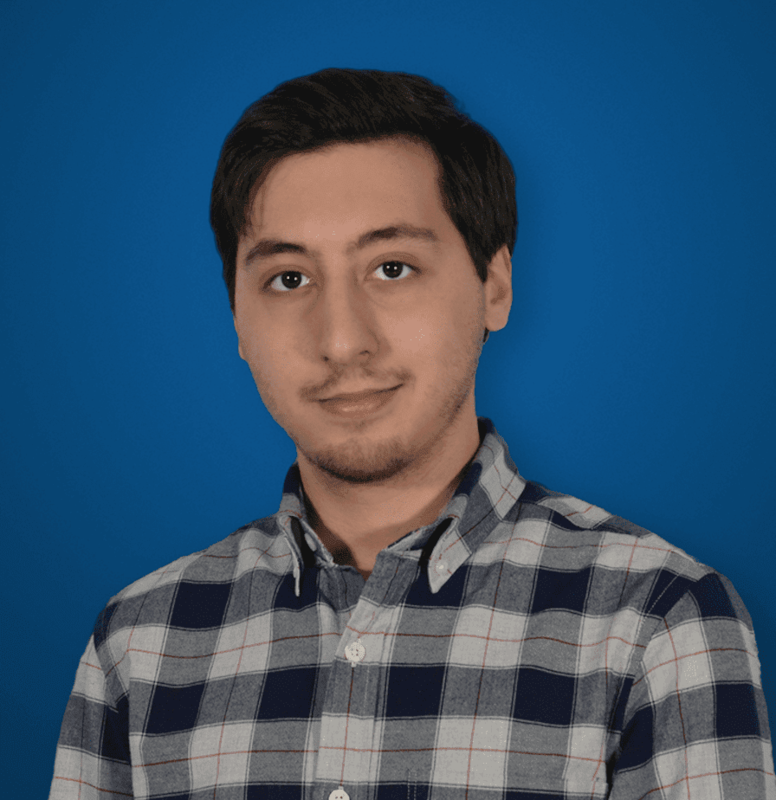 However, adopting an entirely hosted solution isn’t always the best option for everyone — sometimes the old school in-house solution works best, or maybe even a hybrid combination of the two. Well, before you can even begin comparing different platforms and providers, your business must understand the different delivery methods, and the implications behind each. Depending on a number of factors from the business size, to location, to specific team needs well help determine the how large or small the investment must be. For example, cloud solutions can help save costs up front, but reoccurring monthly charges will only grow as your business grows — so a 10,000 seat Enterprise might want to consider a standard On-Premises approach. However, on-premises solutions can make mobility difficult in the is increasingly mobile world. On-Premise: Pretty much just as the name states, on-premise solutions are in-house telephony and communications platforms, mainly used by the largest organizations. Instead of subscribing to another service, the business will bring in all the necessary hardware, and work closely with a provider to build an entire communication system for the entire business. On-premise solutions could be based off a Standard PBX, SIP Trunking, or more recently might include IP PBX and VoIP capabilities if building out a hybrid solution. Hosted/Cloud: Generally, when you think Business VoIP, you are thinking of a hosted solution. With a cloud solution, all the heavy lifting is handled by the service provider — your business may need to purchase some phones, routers or network switches, but other than that turning on the service is essentially a flip of a switch. The provider hosts the network and service in their data centers around the world, and provides access to your business with a reoccurring subscription fee. Hybrid: Kind of like the best of both worlds, a hybrid solution allows a business maintain control over their platform in-house, but also offer the service through the cloud, all around the world. So, just like in an on-premise solution, your business acquires the necessary hardware to establish and maintain their own telephony and communications platform. But, just like a hosted solution, your business can then disperse this platform to all other locations, through the cloud — remote locations in other cities can receive the same service without having to subscribe to another provider, or build their own infrastructure. So of course, simply defining the solutions does not tell the whole story. There really isn’t a “best” or even “better” option, but rather whatever works best for each particular use case. A one-size fits all approach would just be too broad and generic, falling short of the unique needs each business will have. Enhanced control over the entire system. With all the hardware related to your network located in-house, your business gains complete and total control. Your business will generally need to retain IT professionals to setup and maintain the network with the ability to control every single aspect. This enhanced control allows for enhanced security as well — since everything is in-house the entire network can be protected by physical firewalls with IT staff acting as the guards. Potential Cost Savings by avoiding reoccurring costs from a subscription. When establishing an on-premise solution, your business might require a single one-time purchase of hardware and services, which will allow your organization to depreciate the costs over time. With a hosted solution, your business is always paying monthly, and the costs will only grow as you add more phone lines and features, when your company grows. Regulation and Continuity Requirements might require organizations within different industries to install and maintain their own communications solution. Because of the enhanced control, your business can gain enhanced compliance and ensure the network and business is adhering to different regulations. Going even further, an in-house solution can help ensure continuity. If a disaster strikes and hosted services go out, you better hope the provider can get it running quickly. But on the other hand, if your business’ on-premise network goes down, your business can act quickly and fix it, or reroute communications to other servers. An easy transition to a cloud only service can be made possible with a hybrid approach. 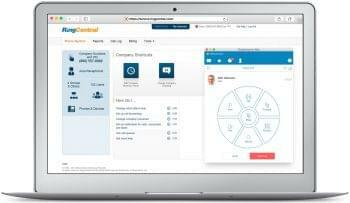 By integrating both a cloud and on-premises solution into one, a hybrid approach can allow a business to utilize existing PBX infrastructure and hardware to deliver UC functionality over the cloud. This approach can help a business transition to a new cloud approach without jumping ship all at once, and avoid some of the more common mistakes. Disperse your Service to different locations through a hybrid approach. With physical hardware located within the organization’s mean location, remote offices can be fed service through a cloud delivery model. Essentially, your business will be offering its own in-house communications services as a hosted solution, but only to your organization’s other locations. 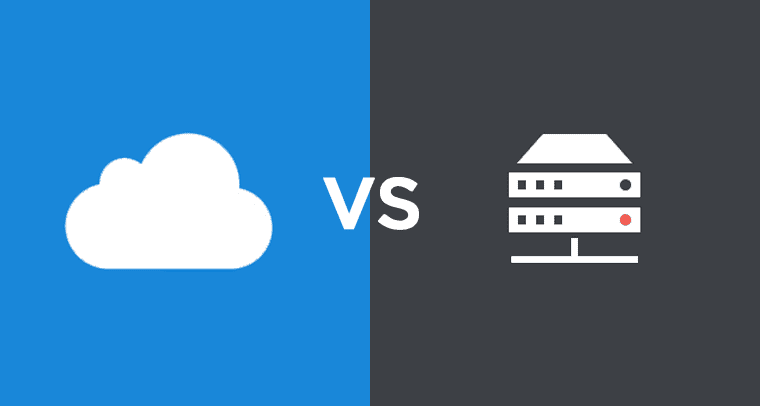 Go Cloud, Yet Save Costs at the same time by utilizing existing on-premises software to disperse the service. Your business won’t have to pay for any other hardware, or a recurring subscription to access the platform. With control over the system in the main location, your business can also gain some financial flexibility, with the ability to specifically decide what features to stay on-premise, or offered hosted in the cloud to other locations. Stay On top of Security with a hybrid approach by maintaining control over the network. Since the hosted service is still running off of your organization’s own hardware, located on-premise in one main location, the business can maintain control over the network, and therefore the network’s security. On-premises equipment can easily be protected with hardware firewalls or even other tools like in-house encryption, and session border controllers. A subscription model for your phone system eliminates the need for a large capital investment, as startup costs are usually less intense and the service is paid for over time. This eliminates the need for in-house IT and staff to maintain the service, only further saving cost for the business. For small teams, why pay extra for what you don’t need, like the expensive hardware for an on-premise solution? Get Going Quick and Easy with hosted solutions. Establishing an entire communications platform with a hosted solution can happen in a matter of days, or at most weeks. However, building an entire on-premise network can take months, since Cloud solutions don’t necessarily need an IT department to get it all going. With UC as a Service, the setup is handled by the provider, and all your business really needs to do is login to the online admin portal. Simple to Maintain is the motto of cloud services. There’s no costly hardware, no physical connection to the PSTN, no tricky server room that requires trained IT professionals. If your business needs to change a feature or add new lines, that can all be handled through simple online portals. Again, the “heavy lifting” so to speak, is handled by the provider. Increased Flexibility generally goes hand-in-hand with a cloud platform. Since the service doesn’t require an expensive hardware installation process to add on new phone lines, or even new features, your business can manipulate the platform in a matter of seconds. However, this increased flexibility can bring along with it an increased cost — adding a new phone line is as simple as logging into your account, but users generally pay for the number of lines on their account, driving the cost up as the business grows. While the options seem endless, at the end of the day the right choice depends on exactly what your business needs. There is no one right answer, and there is no one-size-fits all approach. Each business also has their own unique needs, unique locations, and unique industry requirements. With an understanding of what options even exist out there, your business can then narrow down into different areas of focus. The first step would be simply to understand what options exist, and why they exist. The best way to make a decision is to be informed on the decision, but also informed on what your business needs, and doesn’t need. are cloud hosted solutions reliable enough? i read many pro and many against.